The immigration strategy for 2017 has been unveiled by the Government of Manitoba in the form of Manitoba Provincial Nominee Program. 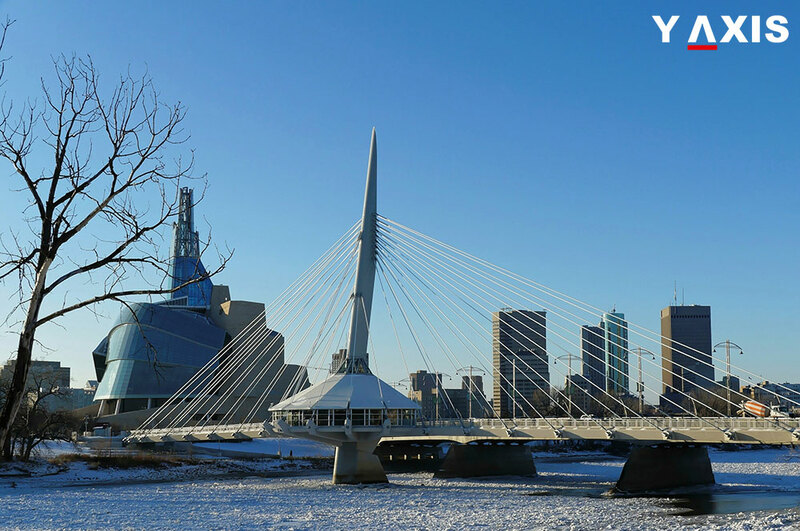 Located in central Canada, Manitoba is gradually emerging as the renowned destination for immigrants to Canada. The reason for its popularity is predominantly due to the abundant jobs and standard of living that is high. The latest plan for immigration intends to align the major job market demands with the nominees. Even though it is anticipated that majority of the skilled worker class nominees will be nominated for their job offer, some of them will be nominated even without the employment offer. The skilled workers who arrive without the job offer will then be aligned with the available jobs in the province. The change in immigration strategy has been announced within just some months after the change in the ruling party in Manitoba. In the month of April the Government of Manitoba was replaced by the Progressive Conservative Party taking over from the Manitoba New Democratic Party. The emerging trends for labor market in Manitoba indicate that there will demand for more overseas skilled workers. Workers who have skills specific to the sector and jobs and the entrepreneurs who can provide new local jobs will be in increased demand in Canada, as quoted by the CIC News. It has been estimated that in the future there will be jobs up to 167, 700 numbers resulting from replacement of current workers and expansion. It is anticipated that one-fourth of this requirement will have to be filled by the overseas immigrants. The sectors that will have huge demands for workers include trades and transportation, business and finance, sales and service, and health. The majority of the jobs will need employees who have the appropriate skill sets and training. The government of Manitoba has increased its target for immigration in the economic categories in the Immigration Levels Plan for 2017. It has also declared that these immigration levels will be further increased in the future. Hence the Manitoba government is convinced that it can enhance the percentage of nominations in the forthcoming years. Manitoba intends to better the current expression of interest scheme for the Manitoba Provincial Nominee Program for the skilled workers by increasing the liaison with the employers. It also intends to offer a more apparent transition to permanent residency for overseas students and the immigrant workers in Manitoba. The government also intends to transition the MPNP towards a model of being driven by demand relying on improved job market data and performance appraisal. In the past few months, the skilled workers overseas scheme of the MPNP draws have inclined towards applicants who were invited directly under the Strategic recruitment initiative of the MPNP. assessment, the overseas workers they are extended an invitation to apply post their official expression of interest with the MPNP. As a part of the exploratory visits, the MPNP extends an invitation to the immigrants who have cleared an interview with the official of the program and are visiting on an exploratory visit with prior approval. The government of Manitoba has drafted several methods to make the MPNP increasingly dynamic through innumerable collaborations with the education and industry sector. It also aims to increase the differentiation of the immigration allocation of the province to enable increased targeted hiring of the fresh workers. The Manitoba government has said that the final outlay of the program may vary to some extent in the actual implementation.